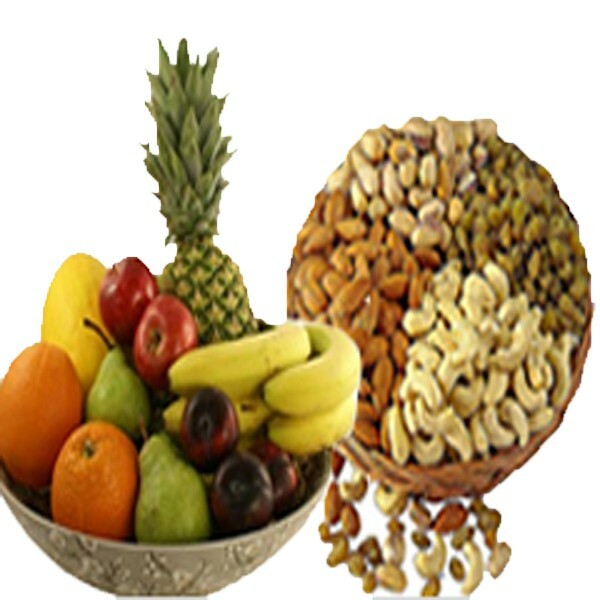 Send Half kg Dry Fruits Basket and 3 kg Fresh Fruit Basket to your Loved ones. 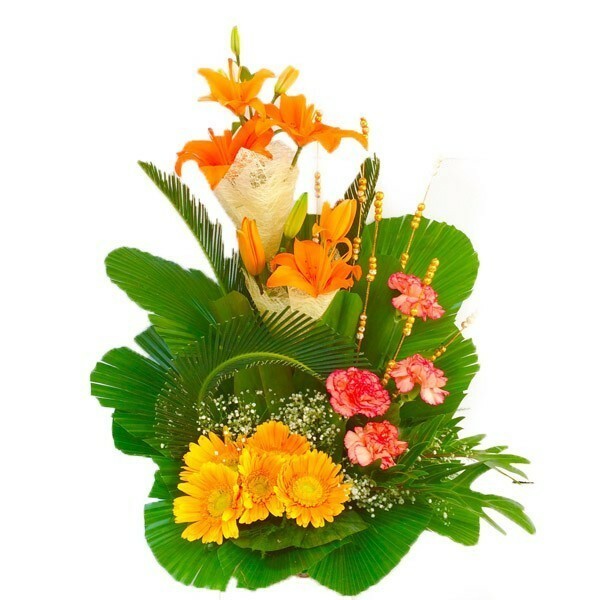 They will relish it. 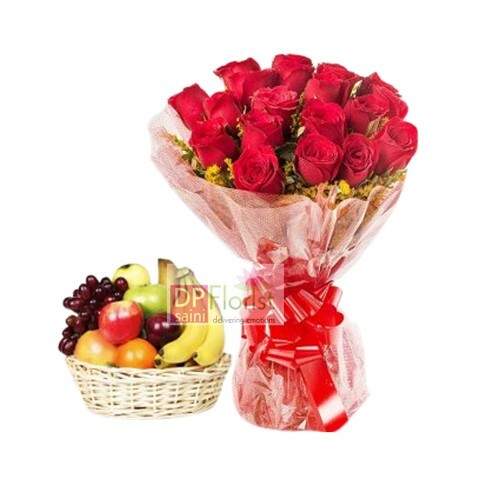 Lovely combo is a collection of 3 Kg mix fresh fruits with 15 fresh red roses bunch in a paper packing . 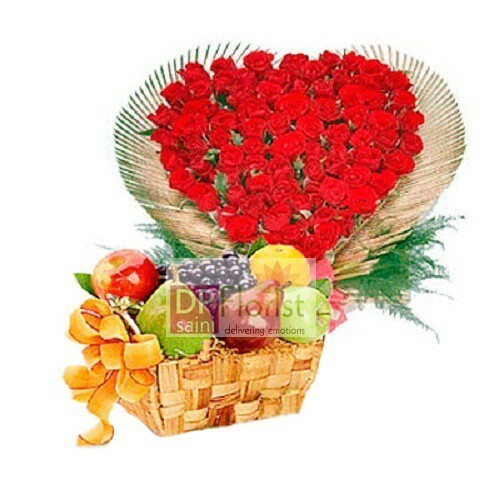 Heart shaped basket of 50 roses and 3 Kg fresh Fruits. 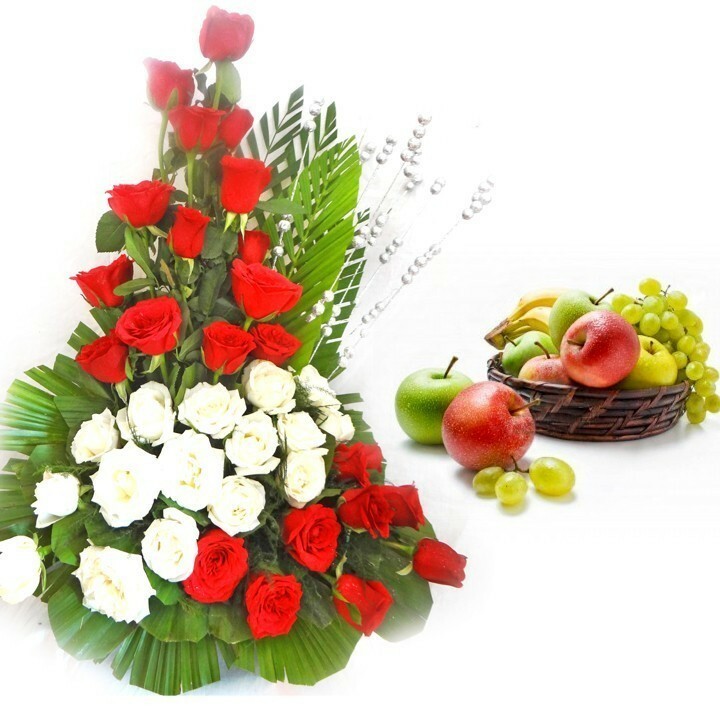 Turning point arrangement of 30 white and red roses in basket with 2 kg fruit basket.